What is a Garden Hose? 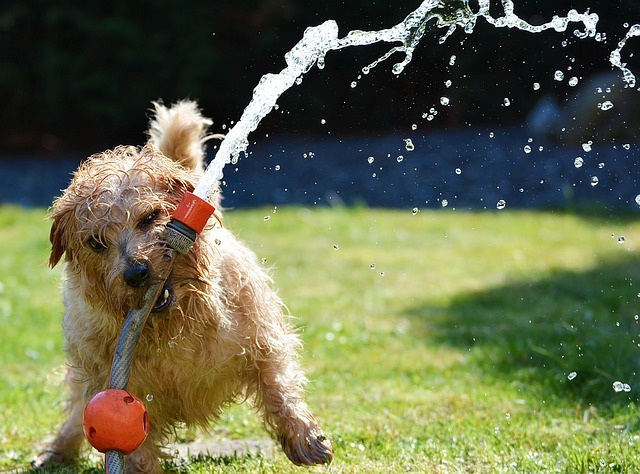 A garden hose is a flexible tube where water can flow through. This is what makes it must-have for all homes as it is what supplies water to plants. It features a variety of attachments at its tip depending on the type of hose, and its other top is attached to the water source such as a tap. Soaker hoses are what you need if you want to have a steady supply of water on your plants. These soaker hoses supply the plants with water by letting it seep through the soil. This is done instead of spraying that water directly to the plants. The water then comes out of the tiny holes that are lined across the entire length of the hose. This is also the perfect hose if you have sensitive plants that need to be tenderly taken care of. The seeping water is gentle enough to avoid it disrupting the normal flora of your plants. If you are short of space, then you can have a flat hose. Flat hoses are great for space saving because they are very flexible. It starts out as a flat hose but when it gets filled with water, it begins to round out. They're portable and really flexible, making them the ideal hose choice if you are always on the go. Just be sure to keep an eye on them as they're not the most durable type. Coiled hoses are what you need if you’re into hand watering. They’re also a great option if you want to water specific areas in your garden. It features a tight coil and spring that makes it water efficient. The only problem with these hoses is that they’re quite difficult to store because of their awkward shape. The mere thought of them coiling is what makes them grow in popularity these days especially that urbanization is taking a toll on flat-ground farming. Expandable hoses have been growing in popularity these days because they’re very flexible and can even expand up to three or even four times its length when it gets filled in by water. That’s how useful and functional these garden hoses are. What's also great about them is that they're great for small watering jobs and they're really a space saver. Plus add into the equation that they're cool to look at when expanding. Their only downside is that they can easily get damaged due to they're over flexibility. Sprinkler hoses are great to have if you have a huge lawn. These simply sprinkle water to the air so that it can evenly supply the plants with water. A sprinkler hose works well if you have a grass turf on your lawn. Not only are they effective watering tools but they’re also a great way to save water. They have a flat base on its bottom and have holes on its top.